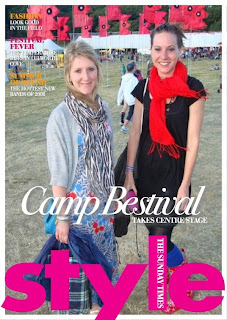 This is me and my friend Emily at Camp Bestival in Dorset last weekend. We were on our way to the comedy tent when we were snapped by one of the Sunday Times Style magazine special festival paparazzi. Its a pretty good memento to have of a brilliant weekend!